Just did the real estate photography for this beautiful Phoenix home in the Biltmore Estates. The home is very luxurious with amazing views of Camelback Mountain and the Phoenix Mountains. Should be on the market this week. 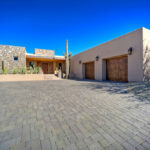 A few days ago I shot this beautiful home in Cave Creek. The house will be on the real estate market very soon.